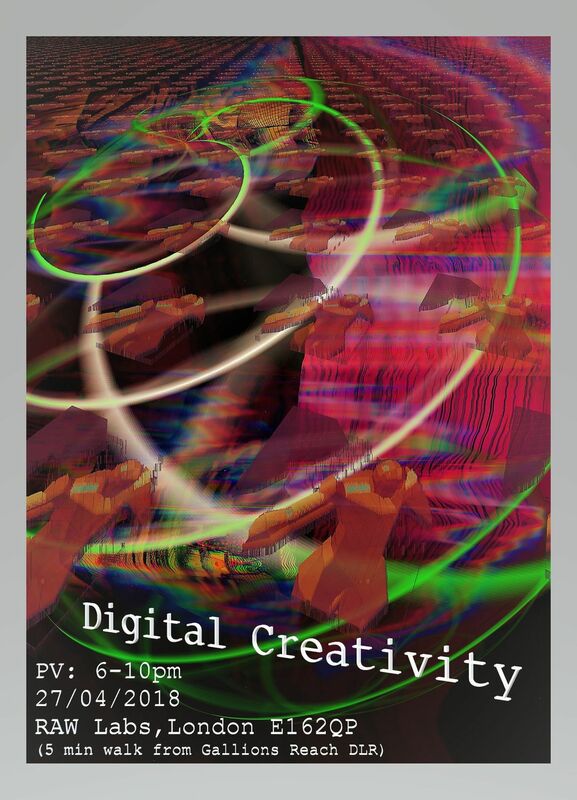 Creative technology, digital art, and conversation. RAW Labs- Bow Arts Studios, RAW Friday’s presents a celebration of digital creativity, a selection of artists and creatives will be providing a platform to view, interact with, and discuss modern digital art. An explosion of disciplinaries; from socially engaged performances, to sculpture and animation. 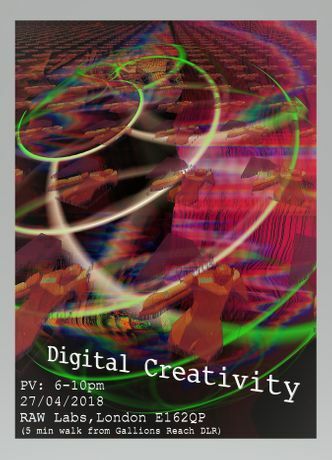 Artists have approached the concept of digital art in both individual and collaborative ways. Some concept heavy, others a technically complicated, artistic expression. Technology- a concept within itself, is used by participants to illustrate concerns and interests. In this pop up exhibition the viewer can exceed the viewing platform and experience immersive artworks and informal discussion.